Though it often seems like an impossible goal, it is still possible to nab an airline upgrade these days. Here are four tried and tested ways to get bumped up to business class. 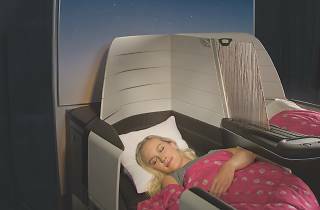 A ‘bid to upgrade’ system is now offered on Qantas, Virgin Australia, Air New Zealand, Cathay Pacific, Etihad Airways and Singapore Airlines. You’ll be invited to bid for the upgrade by the airline, then will have to select your offer, and you’ll be told if it is a good or bad bid. Sometimes the entry-level offer will work, but offer a little more and you should be successful. One of the best value Qantas upgrades right now is from Flexible Economy to Premium Economy between Sydney and Los Angeles for only 18,000 points one-way – that’s a tad more than a Sydney-Melbourne economy reward seat. Tip: select the option for also being upgraded at the gate, as there is always a chance of a ‘no show’. In some instances, the cost of the jump to a seat in business can be as little as one-tenth the cost of what the seat is selling for. British Airways, Fiji Airways and Hawaiian Airlines (pictured) are three airlines that offer this to and from Australia – so get to the airport early. Those with loyalty status on the airline will be selected first. Even without, it’s possible: for the best chance have a fully flexible airfare, don’t have any unusual meal requests (because they won't be able to accommodate them in your newly upgraded seat) and of course, dress well and be polite. Didn't make it to business class? 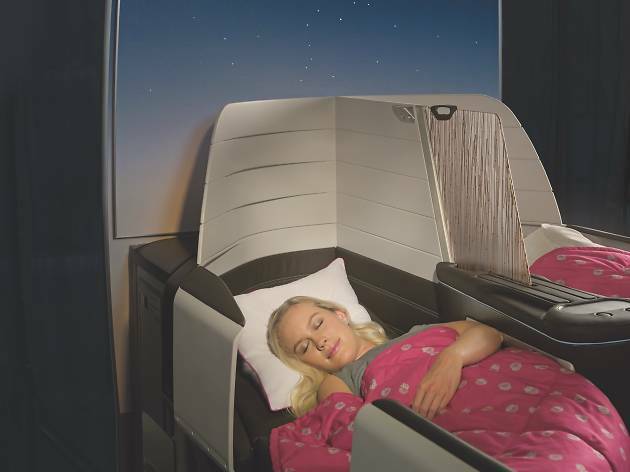 Check out the best premium economy seats going round.